The Norwegian Directorate of Immigration (UDI) and the Norwegian Immigration Tribunal have refused to grant Palestinian film-maker Mohamed Jabaly a work visa to allow him to tour with his first film, Ambulance (2016), and to make a second film with his Norwegian producers, in Tromsø, Norway. Artists for Palestine UK (APUK) is shocked at this decision, calls on the Norwegian government to rescind it, and invites others to join in this call. The reason given for this official refusal is that Jabaly is “not qualified” as a film-maker. This is not a judgement that those who have seen his electrifying film Ambulance could possibly agree with. The film critic, Allan Hunter, wrote in the UK/US journal Screen Daily in June 2016, ahead of the world premiere of Ambulance at the Sheffield Documentary Festival in the UK, that the film is:“filled with images of chaos, hysteria and human tragedy that are already familiar from the TV coverage. 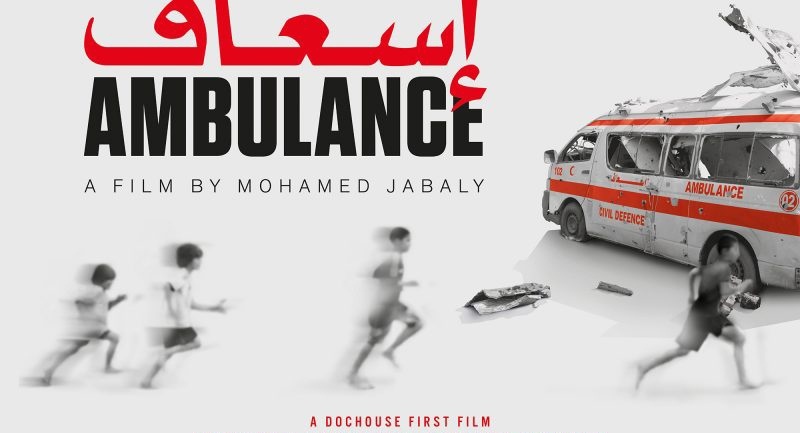 What distinguishes Ambulance […] is the way that Jabaly’s footage […] creates a wider, more thoughtful portrait of a city under siege and becomes a fascinating testimonial to personal and collective resilience. The film should be guaranteed further festival exposure,, with strong possibilities for TV and cable sales.” That is the great co-operative achievement of Jabaly and his Norwegian producers and other crew members. The refusal from Norway of a second work visa for Jabaly is a great disappointment to many of us in the UK, as Norway is a country that we have always looked up to for its measured humanitarian attitude. All Palestinian filmmakers, artists and cultural workers need the support of the international community because, on every level, their freedom of expression is constantly curtailed or, worse, denied by actions of the Israeli government. Despite these obstacles the Norwegian producers of Ambulance made it possible for the film to be made; and various international film festivals have made it possible for the film to be shown and seen. We urge the Norwegan authorities to reconsider their decision. Artists for Palestine UK organising collective , 28.12.2016.